With Titanfall out there in the hands of a number of Xbox One and PC users, we’re learning more about the game as we await its official March 11 launch. 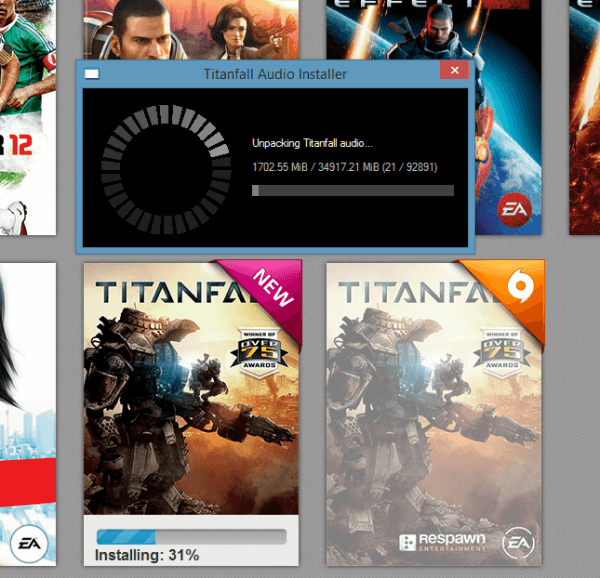 Through various Imgur posters, we’re getting details on Titanfall’s install sizes. According to one user, Titanfall’s install size on the Xbox One is 16.39 GB. 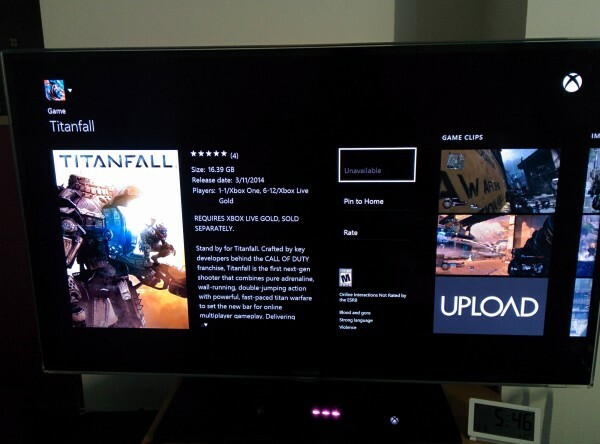 Yesterday, we learned that users who’ve pre-ordered Titanfall through Origin could preload Titanfall ahead of its March 11 release – a 49.99 GB install size. Today, reports are coming in that 34.1 GB of that install are, in fact, sound files. More than likely, Titanfall ships in a number of different languages, hence the rather large file size. 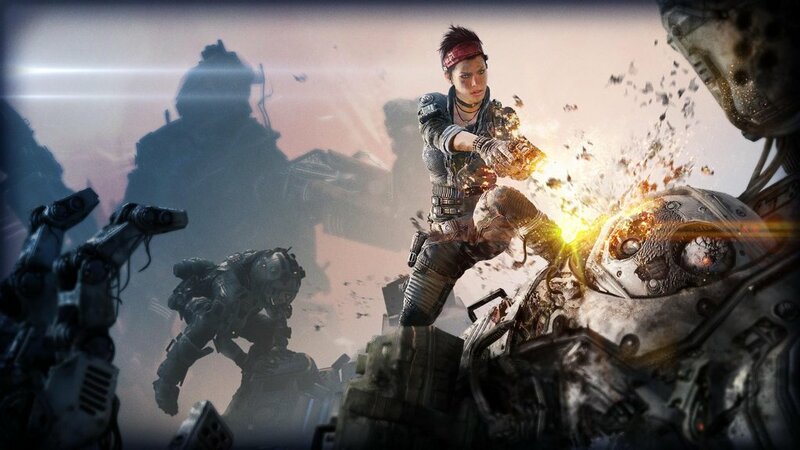 Keep your sights on MP1st as we learn more about Titanfall!